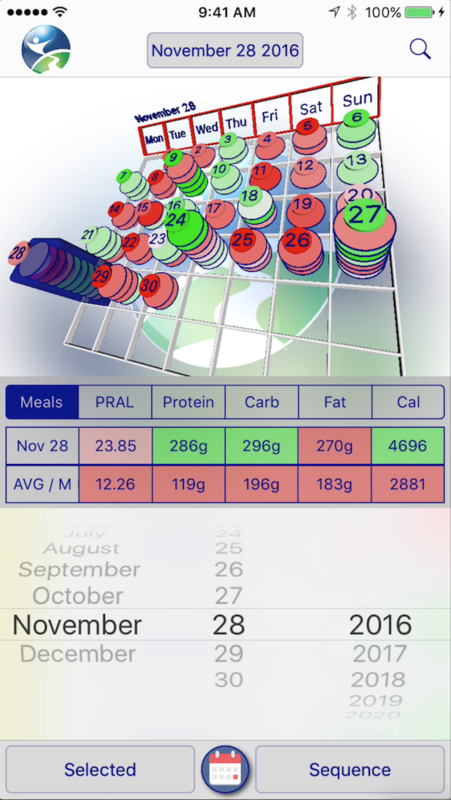 Digest Aware is an IPhone Application that stands alone by offering solution to calculate, log and track meal’s acidity/alkalinity and macronutrients, calories in a calendar with 3D graphs. 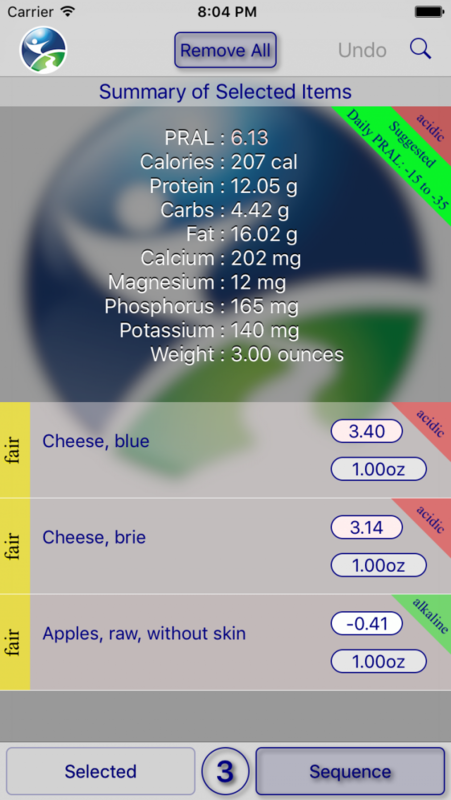 The App grades and explains the user's food combination in order to achieve better digestion and suggests an eating sequence for each meals. 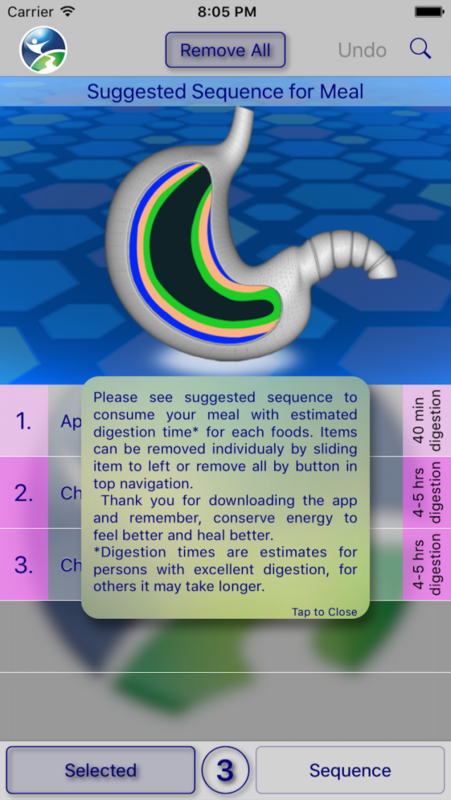 By utilizing the App a person can easily understand why she/he becomes bloated or have heartburn, acidosis (nearly half of chronic diseases requiring hospitalization are related to too acidic diet) and how to prevent them. 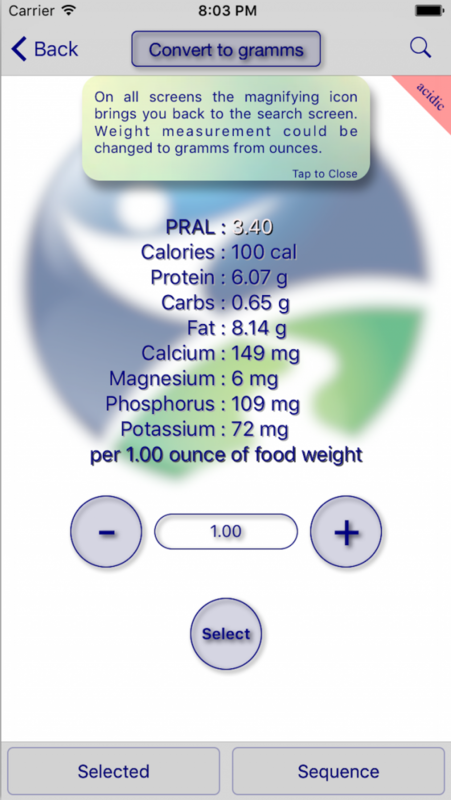 I would like to highlight the importance of alkaline diets for cancer prevention and the fact that digestive diseases cause yearly expenditures of over $17,000,000,000 in direct healthcare costs and a total annual economic burden of nearly $50,000,000,000. 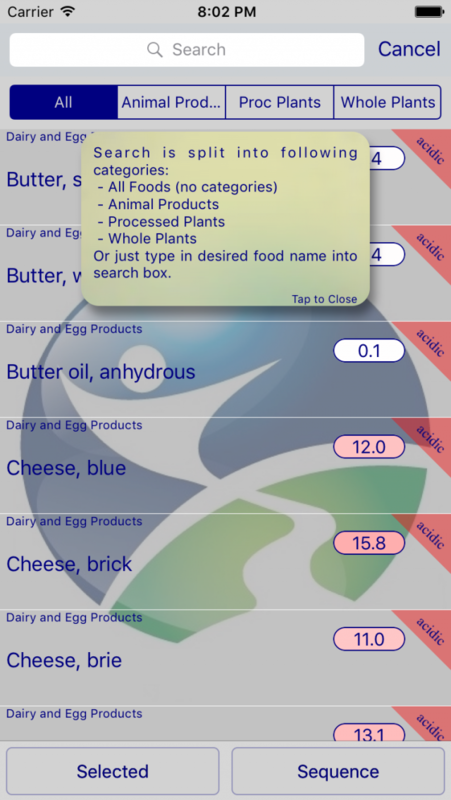 There are over 6,500 food items to choose from in the App. Proper food combining allows one to conserve significant energy which is essential to recover from any disease or feel just energized. Sequential eating is used as a secondary principle for those who cannot follow the laws of food combining. I won two natural bodybuilding world championships early on in my twenties, which taught me the fundamentals of nutrition and discipline, then in my early thirties I shifted my attention to health and natural healing when we discovered my wife had an early stage tumor in her brain. After a few months of cleansing and fundamental lifestyle changes my wife’s MRI came back negative, here we would like to express our gratitude to God. In my late thirties up to present days I committed to software development, which opened up the doors to create Digest Aware®. My hope is that I can contribute and help educating others who are in need to make better food choices.